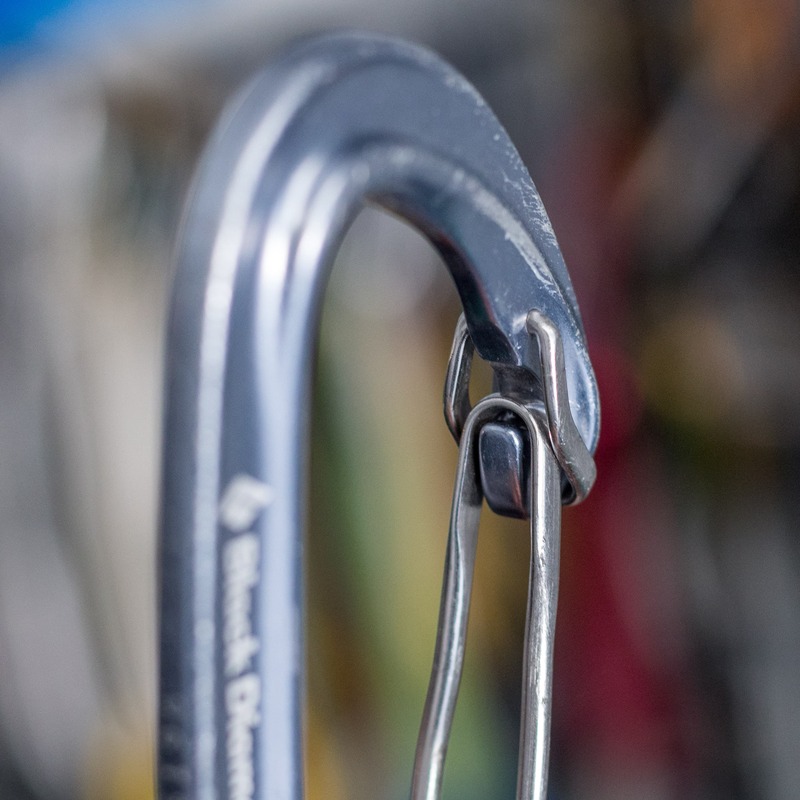 It wasn’t all that long ago that climbers had to choose between a lightweight carabiner and a snag-free carabiner. However, with innovations in technology, material processing and manufacturing more and more companies are blending these two features. We’ve reached the point where most brands have their own version but the designs are all a bit different. So it seemed like a great time for a head-to-head comparison review. * Measured perpendicular from the open gate to the nose of the carabiner. ** These rounded values are based on posted online prices in Canadian dollars at the time of this article. 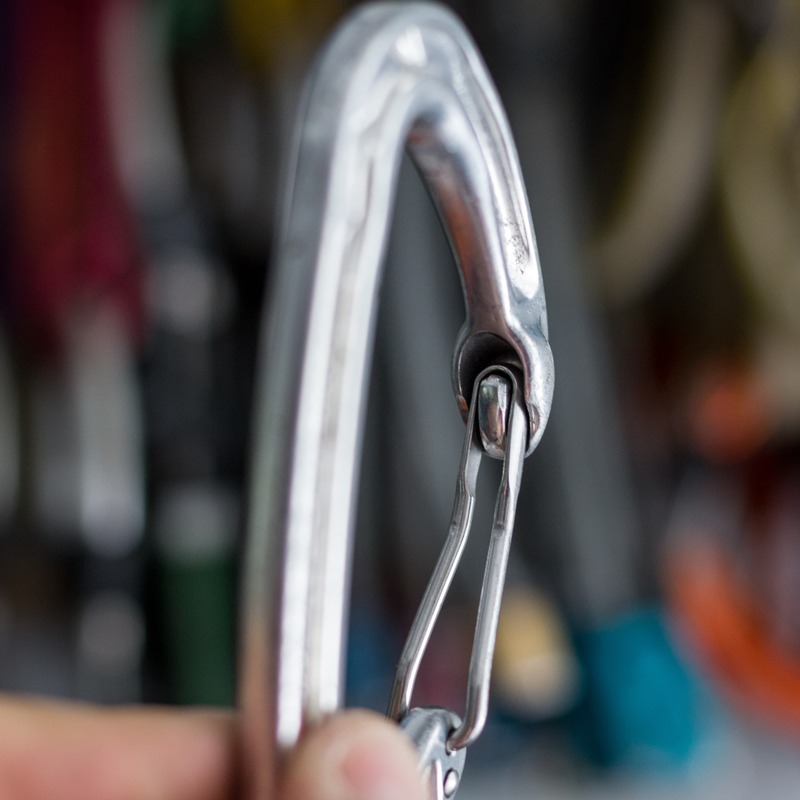 A front view of each carabiner, note the differences in the width of the nose. From left to right: BD Oz, Petzl Ange S, Wildcountry Helium, DMM Chimera, Camp Dyon. 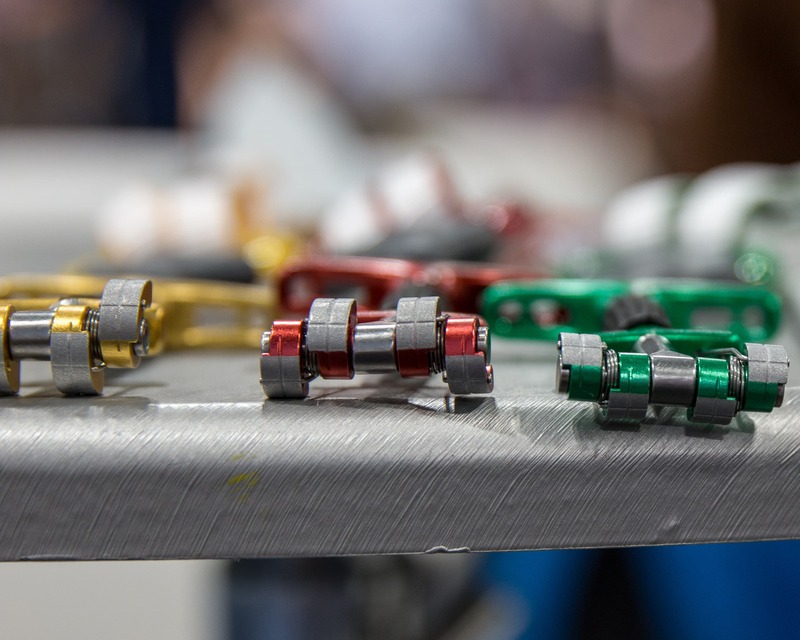 Released in 2016, the Chimera is the newest and lightest installment in DMM’s lineup of lightweight snag-free carabiners. 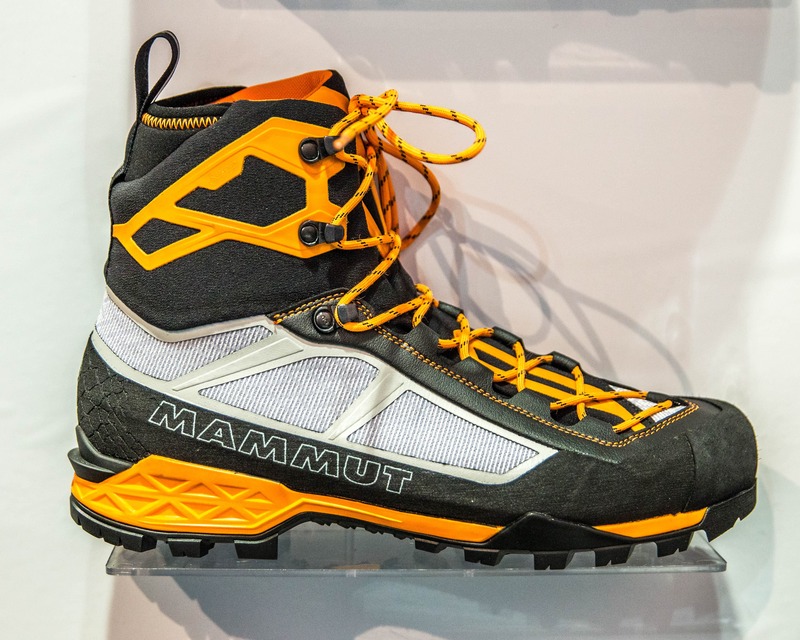 Other current models include the Shield, Alpha Light and Alpha Trad. 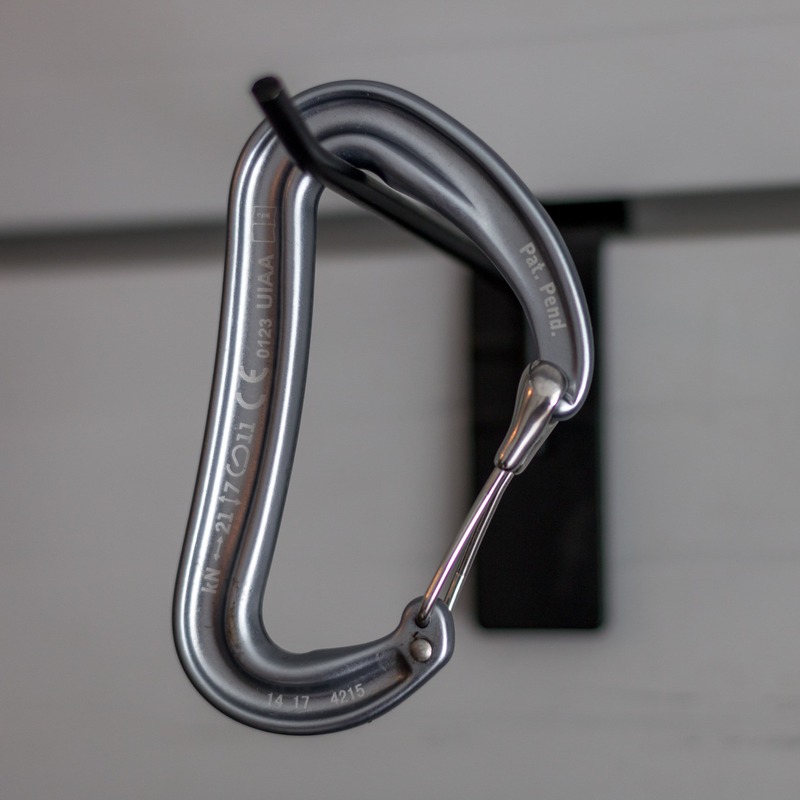 DMM used a shroud to cover the notch and create a smooth, snag-free nose for this wire-gate carabiner. The down side to this design is that the shroud makes the nose of the carabiner quite wide. 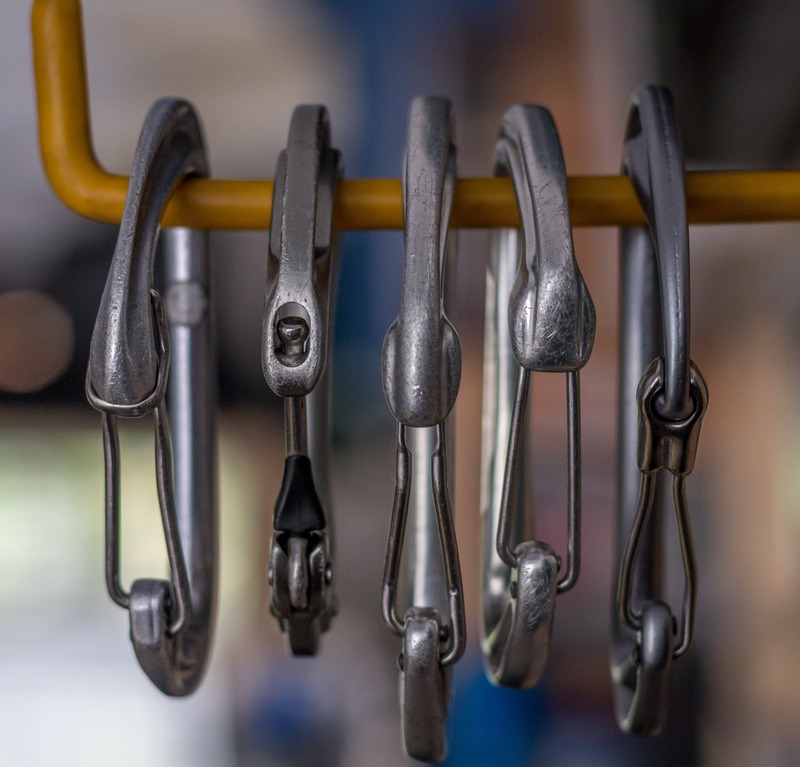 Not a problem when clipping a rope, bolts or ice screws but it can be a pain if you’re trying to clip an old piton or a chain with small links. The wide nose shroud on the Chimera. Overall the Chimera is an exceptionally nice carabiner to use. It has a very crisp and clean gate action, a smooth nose angle and it fits well in my hand. 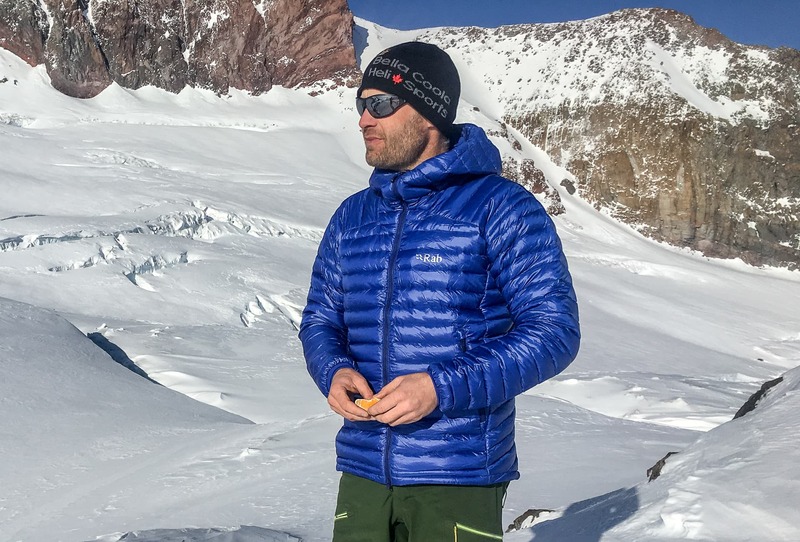 And while it may be a bit on the smaller side for winter where gloves are a requirement it’s a great size for summer climbing. 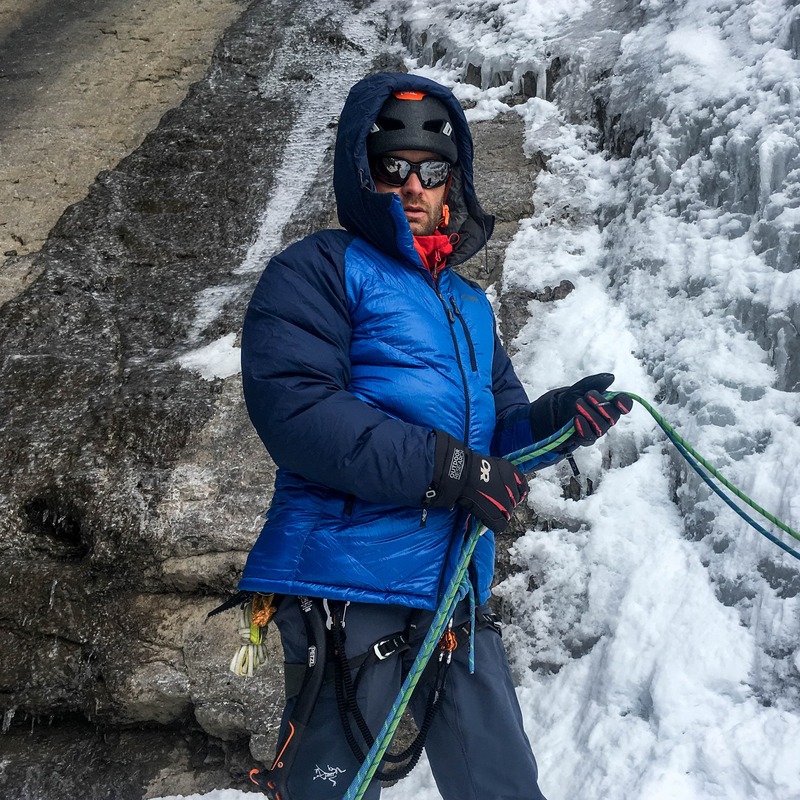 Cons: Wide nose can be hard to clip to pitons, thin chains or remove from a busy anchor. 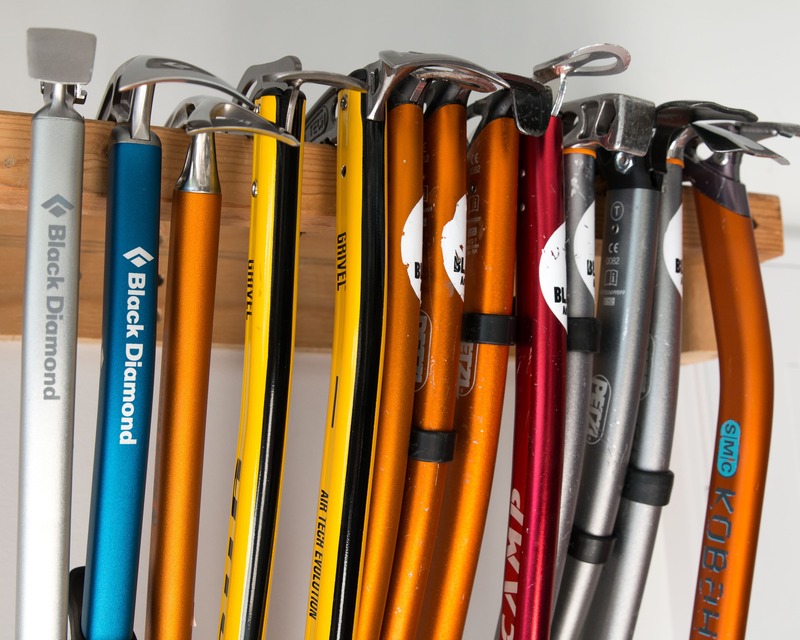 Best Use: A fantastic racking carabiner for cams. 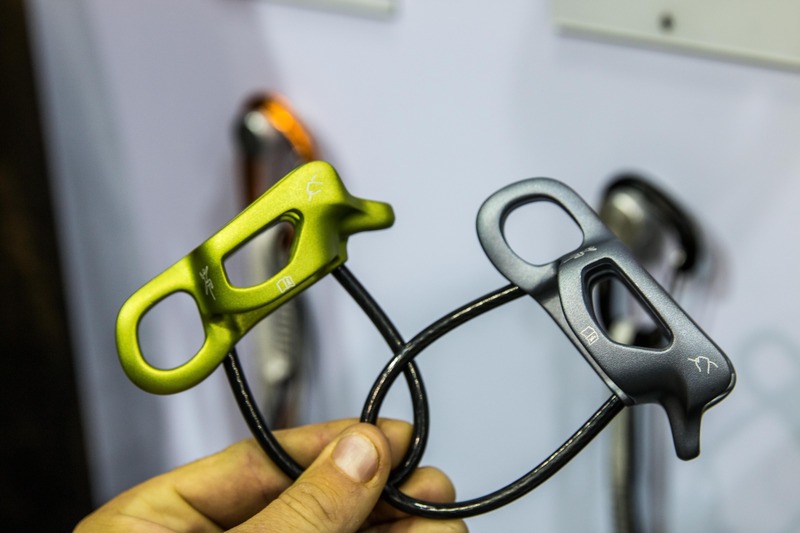 Petzl approached the development of a lightweight snag-free carabiner slightly differently. Instead of the typical double strand wire gate they used a single strand. As a result the need for a notch was eliminated as a constriction is used to develop strength through the gate. A very innovative approach to the problem from this innovative company. 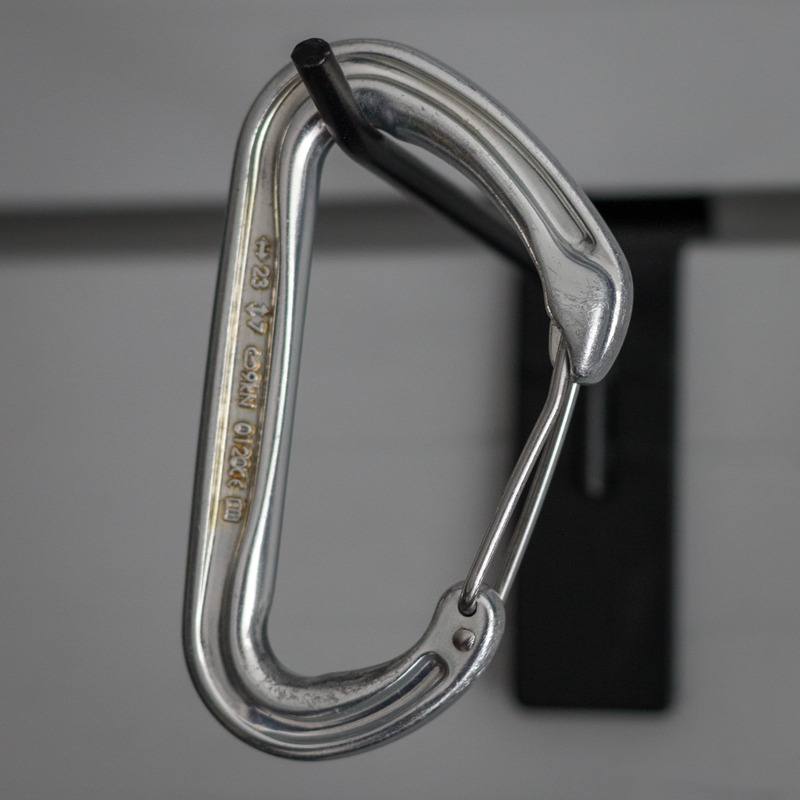 Two different carabiners were created from this technology, the Ange S (small) and L (large). 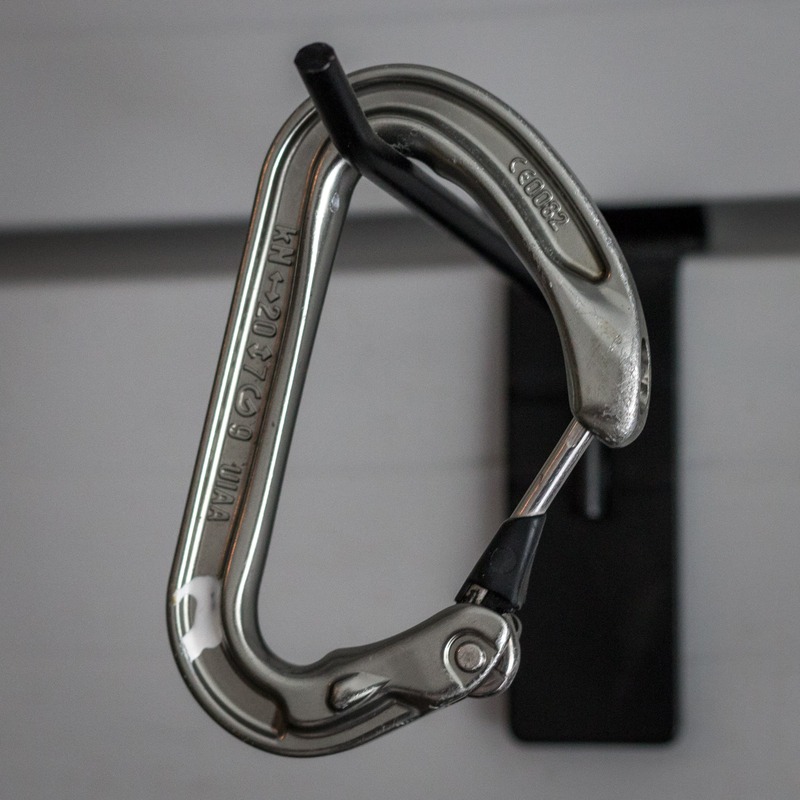 Given that this is a review of lightweight carabiners I opted to review the S.
The single wire gate and hole through the nose give the Ange a distinctive look. So how does it perform in the field? Well the single wire gate kept the nose thin eliminating any issues associated with clipping chains, beat up pitons, etc. The action is crisp and clean and the shape of the Ange S allows for a surprisingly large gate opening given the small overall size of the ‘biner. On the other side of the coin I found that the open nose would ice up in the winter on wet climbs. 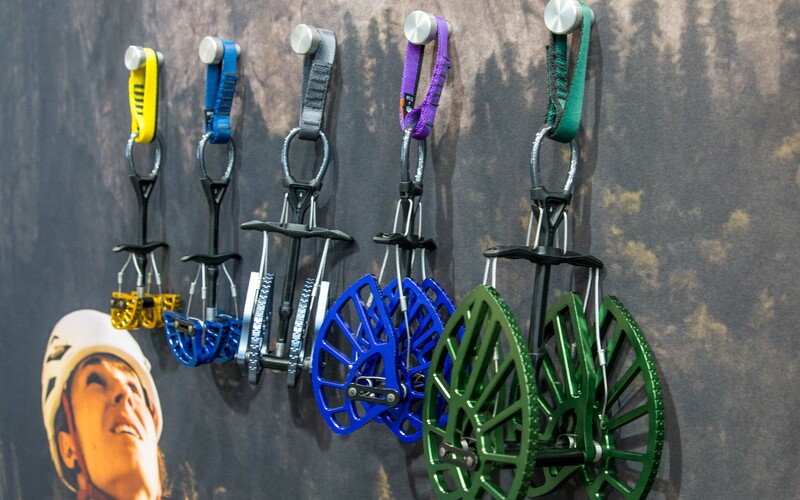 And while the Ange S could make a great racking carabiner Petzl doesn’t offer it in a variety of colors, just orange and grey. 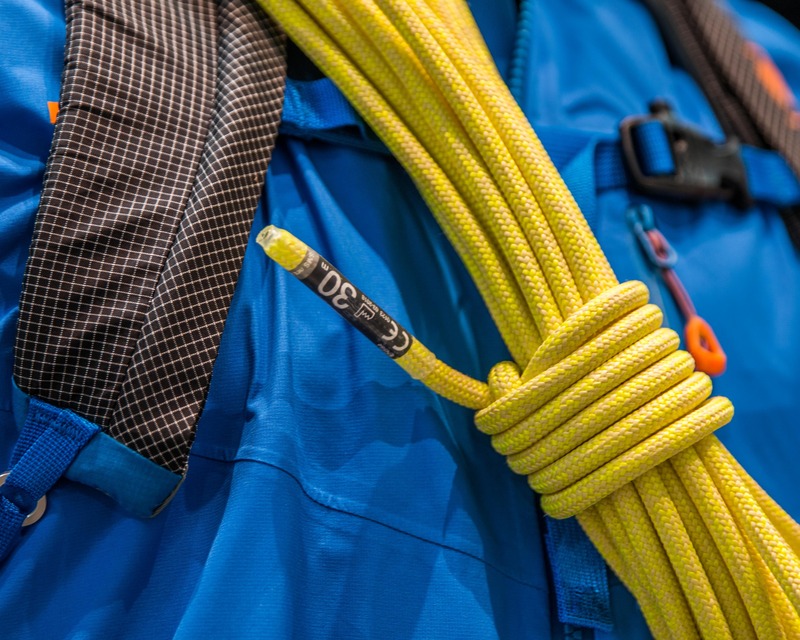 Best Use: Both the Ange S and L make great extendable and quickdraws for summer use. 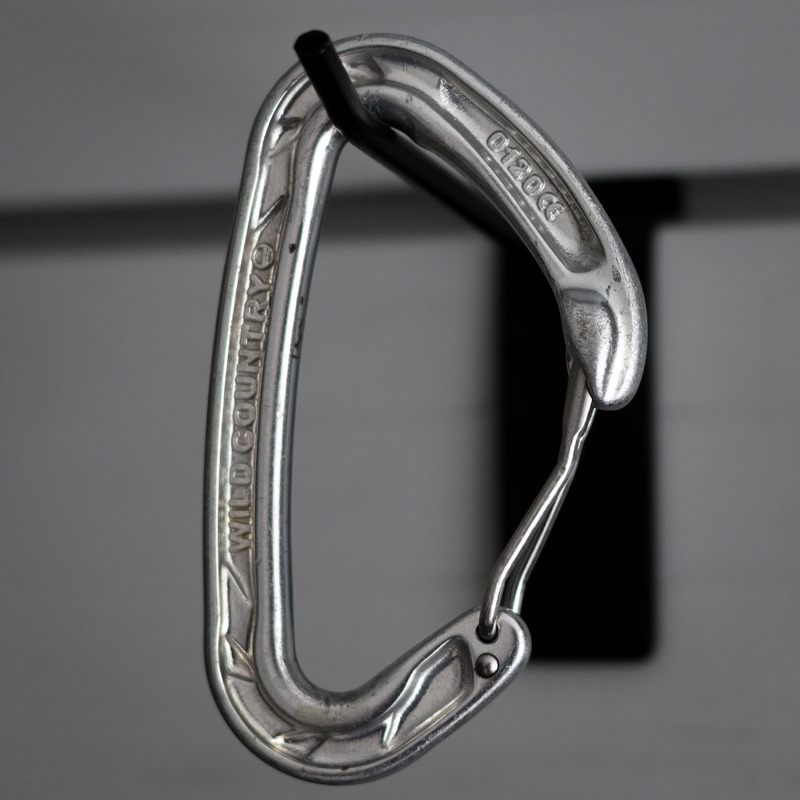 Wildcountry’s take on the lightweight, snag-less carabiner follows the same design philosophy as DMM. 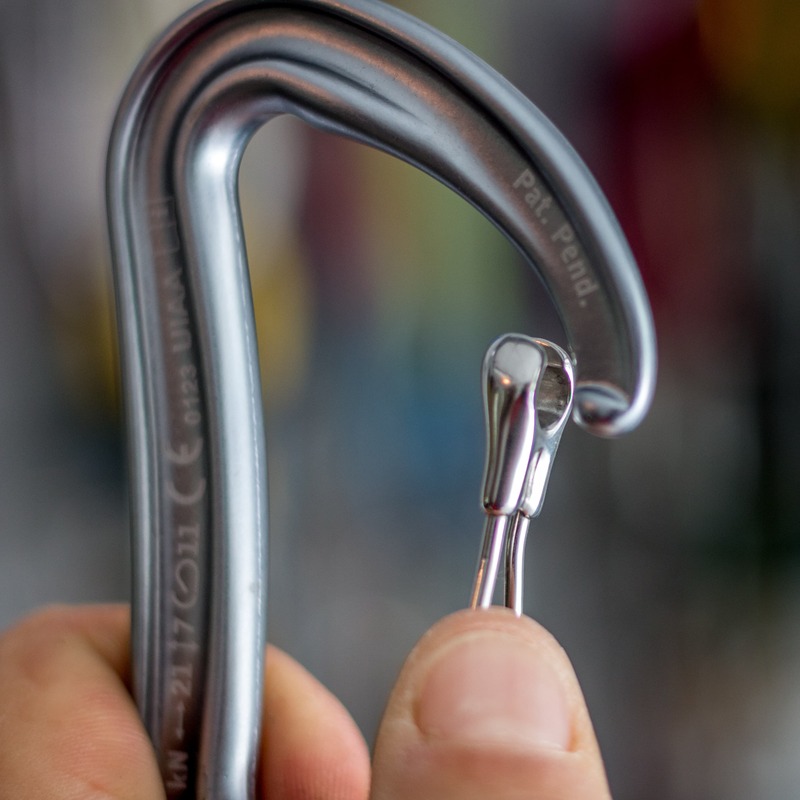 They use a shroud over the notch to create a smooth nose on an otherwise standard wire-gate carabiner. And, just like on the Chimera, this shroud adds width to the nose making it difficult to clip into smaller openings such as are found on damaged pitons, thin chains, etc. Wildcountry used the same wide nose shroud design as DMM. The Helium doesn’t stand out as an exceptional carabiner in any particular way and was my least favorite overall. 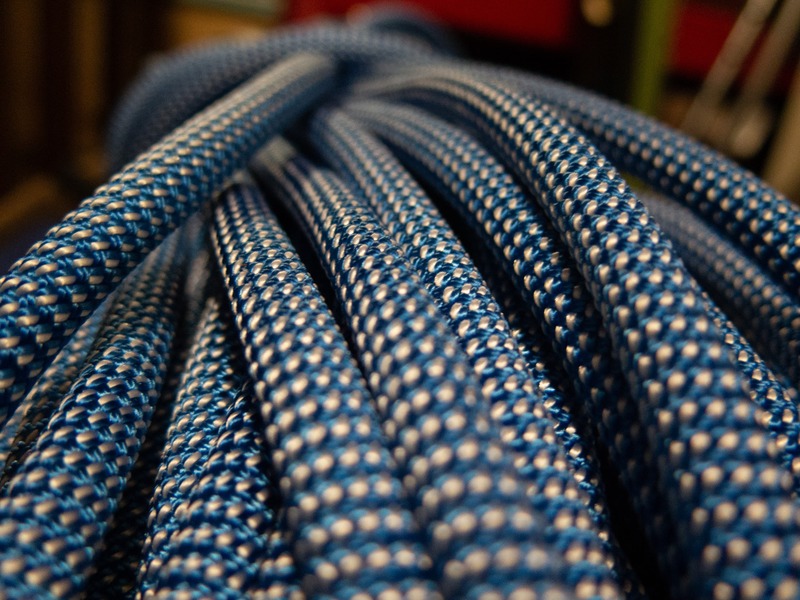 It’s the heaviest off all the carabiners reviewed at 34g and one of the more expensive options. I found the gate action a little stiff and the slight outward curve to the spine made the carabiner feel less secure in my hand when clipping. 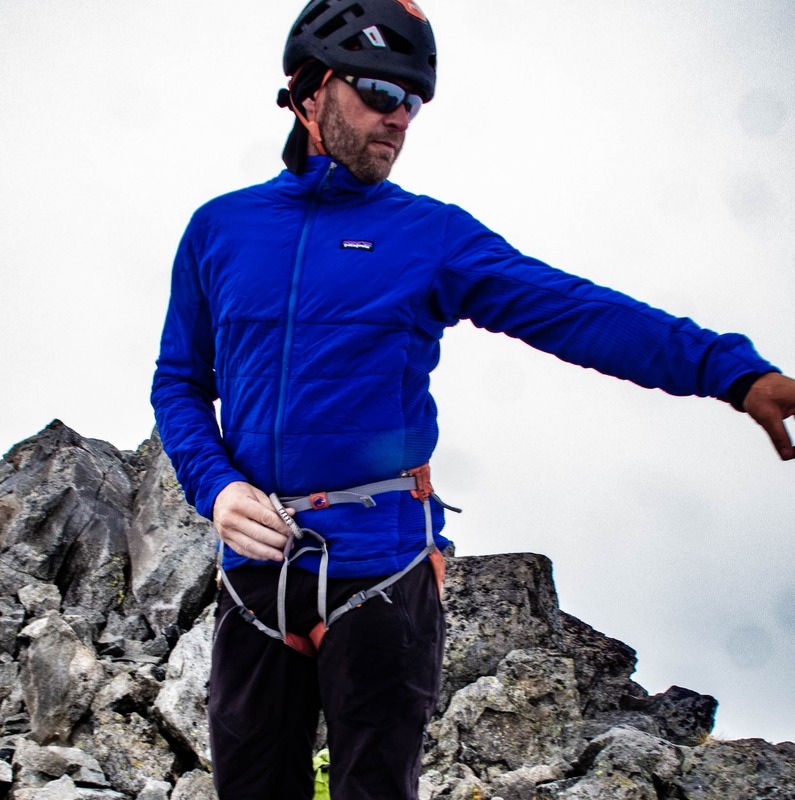 On the upside it’s easy to use with gloves due to its large size making it a decent winter climbing option. 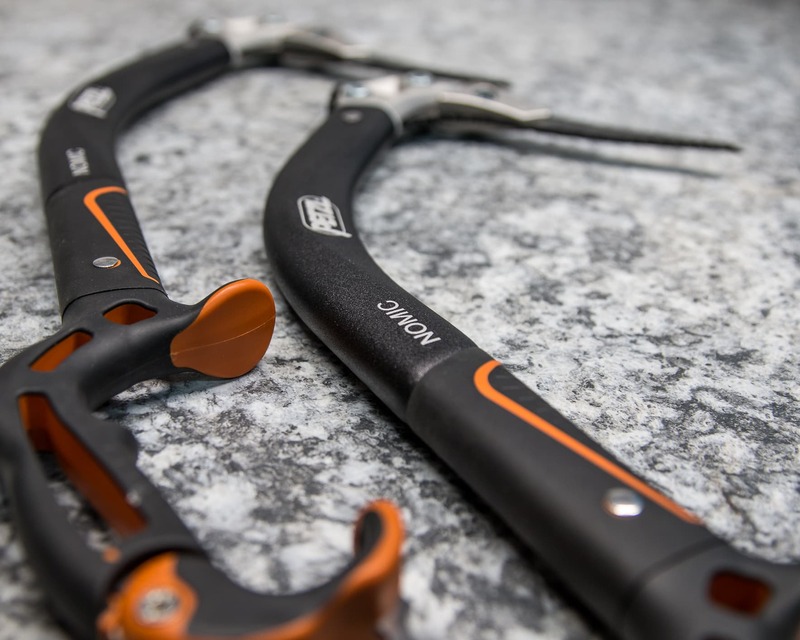 Black Diamond tackled the lightweight snag-less carabiner problem with the same shroud idea as DMM and Wildcountry but put an entirely different spin on it. 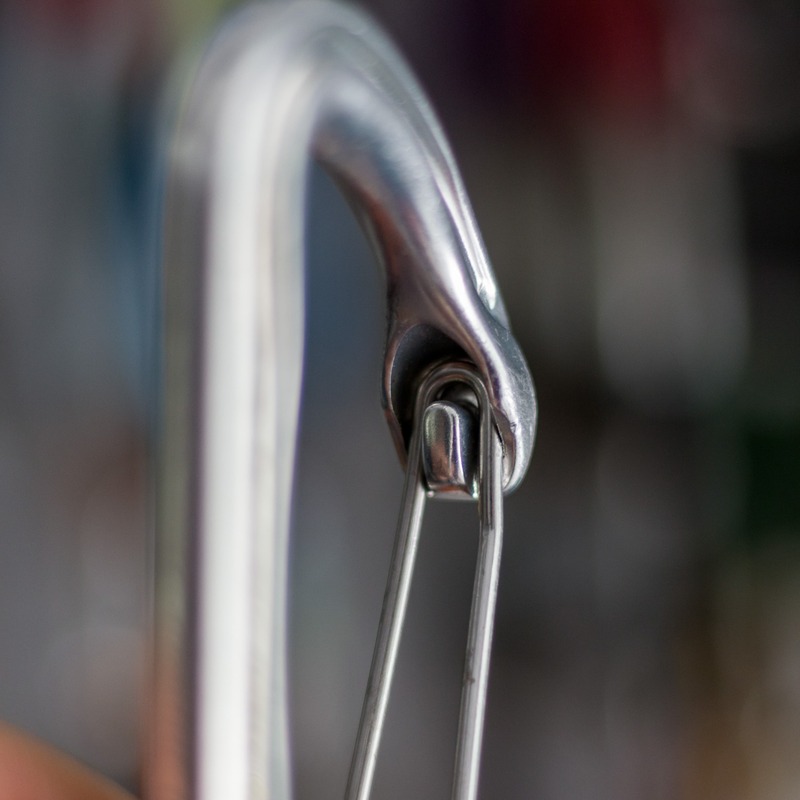 Instead of machining a recess into an aluminum shroud for the carabiner’s wire gate they wraped a wire around the outside of the nose to accomplish the same thing. The big upside to this design is the ease and simplicity of the manufacturing which of course results in a lower price at the store. 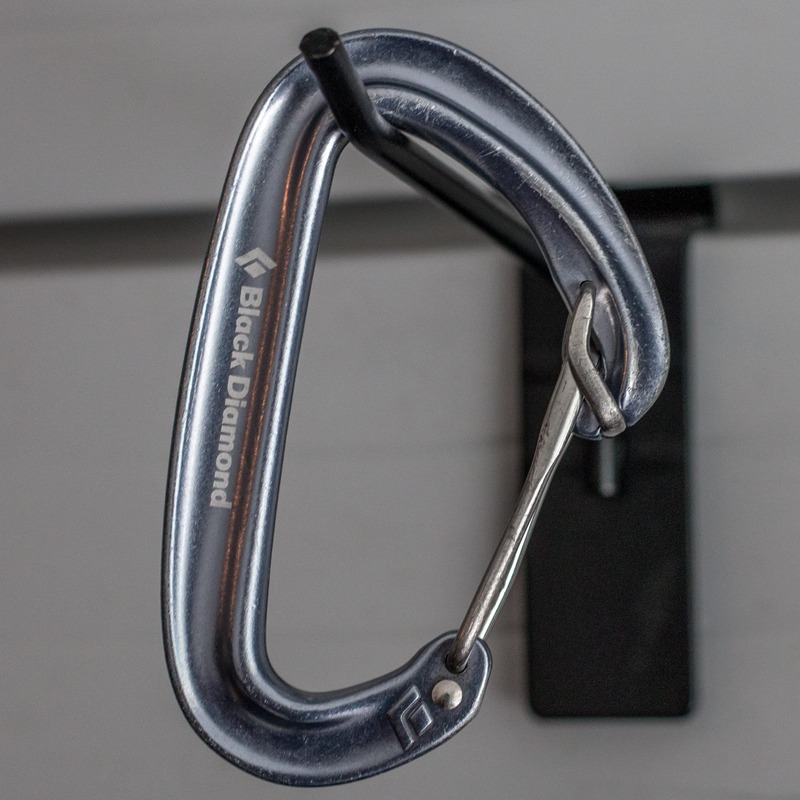 Black Diamond currently has three different carabiners that utilize this nose design, the HoodWire, LiveWire and the Oz. We’re reviewing the Oz as it’s significantly lighter than the other two options. 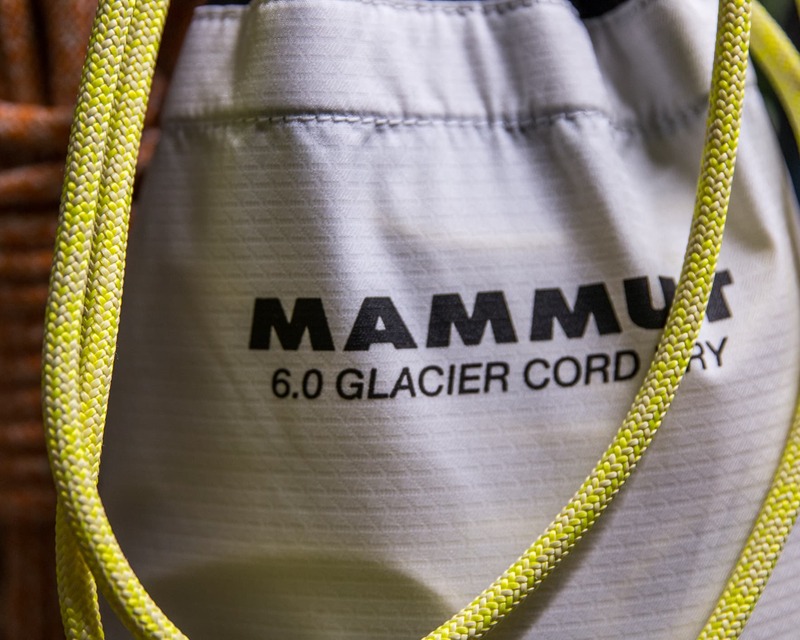 One of the lightest carabiners in this review, tied with Petzl’s Ange S at 28g, but not the smallest. As a result it’s easy to handle without gloves and still ok with them. Of course, as with all the shroud style carabiners, the nose is quite wide which restricts where it can be clipped. The nose also has a steeper angle which can make it a bit harder to unclip and the gate has a stiff feel to it. 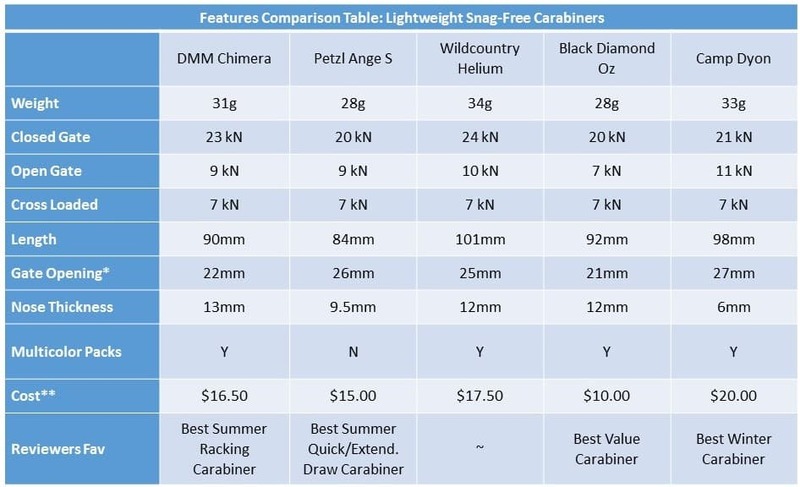 Best Use: Offers the best value of any of the reviewed carabiners and works well for racking & draws, primarily summer use though it’s big enough for the winter as well. New for 2017, the Dyon is the newest carabiner in this review of light-weight snagless carabiners. With a different and innovative approach to the problem Camp opted to alter the gate instead of the carabiner nose. This allowed their designers to utilize a standard notchless solid gate carabiner nose shape on the new Dyon. As a result the nose has a very thin profile eliminating the potential issues of the wider shroud type design. The Dyon uses a unique gate design to eliminate the need for a shroud on the nose. 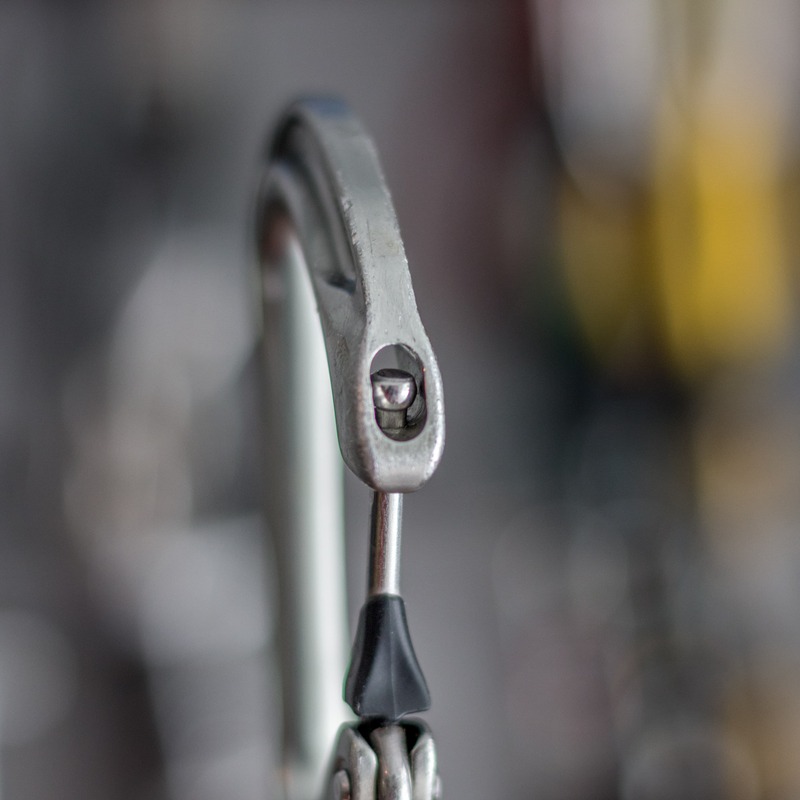 While the Dyon is on the heavier end of the spectrum of light-weight snagless carabiners it’s also quite large. This makes it easy to handle, with or without gloves. The smooth nose angle, crisp and solid gate action and ergonomic shape combine to make the Dyon is an exceptionally nice carabiner to use. The deep I-beam construction of the Dyon provides the carabiner with an impressive 11 kN open gate strength. 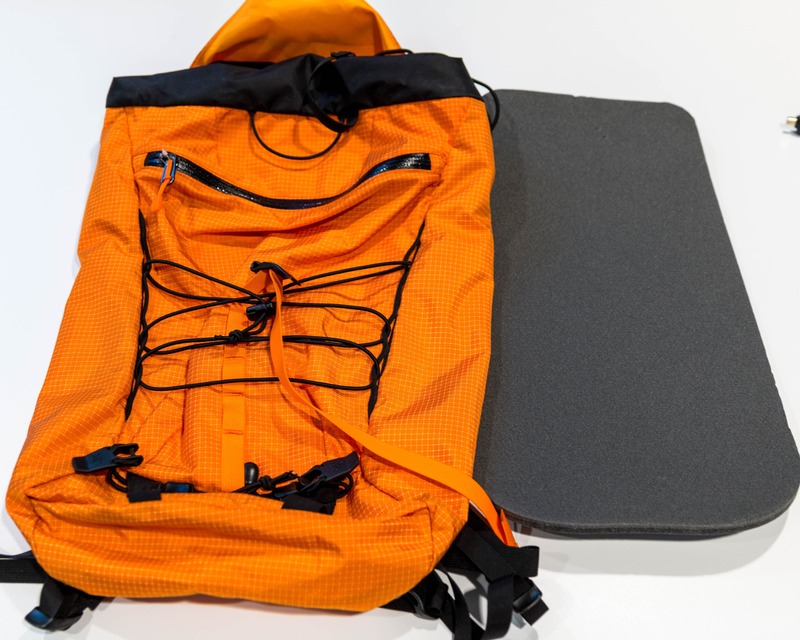 The design isn’t without a side-affects through as the deep cross-section can make the carabiner bind and hinder rotation though the spine on old, beat-up pitons, hangers and busy chains etc. 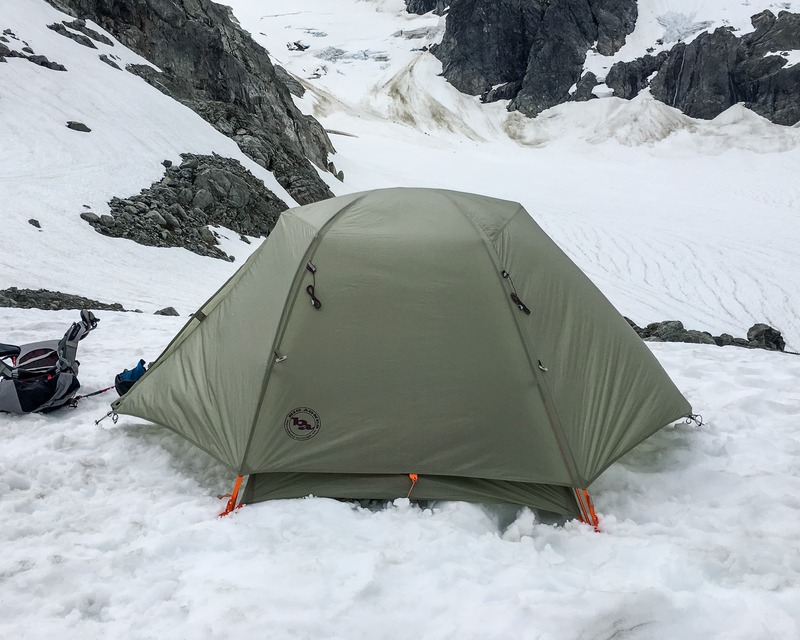 Best Use: Given the large size of the Dyon it will excel as a lightweight winter climbing carabiner for racking and for draws.